I've gotten a bunch of questions in the past about my beauty routine and my favorite beauty products and I haven't updated it in quite some time so I thought this would be a great opportunity since my routine has changed so much since my last post. I swear by holistic and organic beauty products. In the last couple months I've really changed my beauty routine and the difference is day and night. My hair is longer, stronger, and more healthy. My skin is clean, clear, and feels so hydrated. 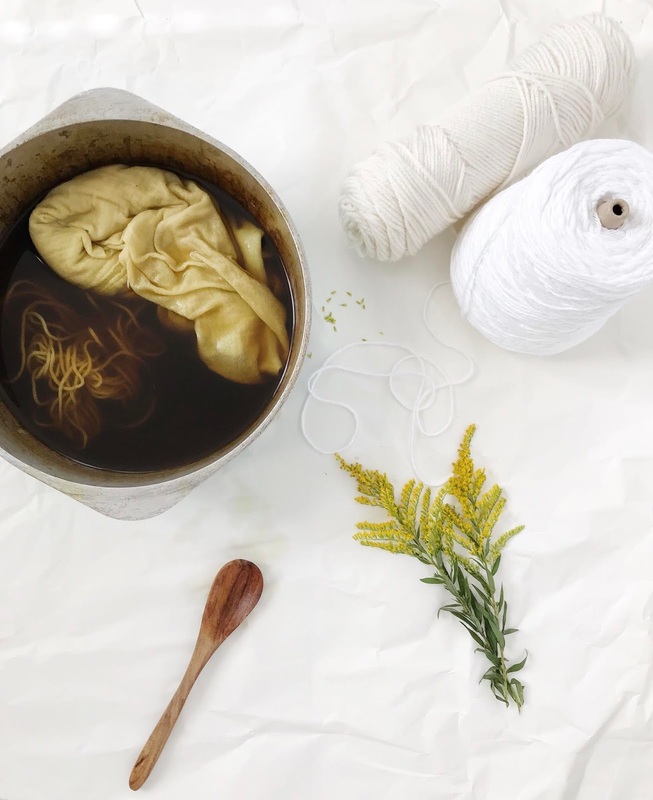 It's amazing what removing all of the synthetic materials and chemicals does for your overall health! Today I'm going to share a few of my favorite products as well as some tips for better skin,hair, and nails with all natural products! Brush- My biggest tip is to throw out that plastic brush and find a really great wooden brush. Wooden brushes soak up the natural oil in your hair and distribute it throughout which keeps your hair naturally conditioned and shiny. I also love them because they cause less breakage and damage to your hair when brushing! Wash- Everyone I know who loves natural products swears by Calia shampoos and conditioners. I actually just ordered my first bottles so I have yet to try them out but I feel comfortable telling you to try them based on everyone's enthusiasm. I also swear by Bragg's apple cider vinegar rinses for my hair. I just mix half vinegar and half water in glass and pour over my hair after washing. You can leave the mixture in or rinse it out but it really cleanses the hair and gives it a good shine! It's great for removing product residue and build up as well. Condition- The cheapest way to really condition your hair is coconut oil. I swear by it! Slather your hair in it and leave it in for a few hours or over night for moisture that penetrates the hair shaft and the scalp for a really deep condition. I also love Moroccan argan oil for my ends in between conditioning treatments! Clean- I love using an oil cleansing method for my face, especially during the winter when my skin is much more dry and chapped. I usually use my trusty coconut oil and slather my face in it focusing on the areas that are more dry. After a good facial massage I take a washcloth and warm/hot water to rinse my face. I also swear by Lush's Herbalism, it is my holy grail face wash! Its wonderful for acne prone skin and it smells like heaven. I also love tea tree essential oil for treating blemishes and I swear by my DIY facial toner. Moisturize- I feel like moisturizers are so important. Besides drinking half of your body weight in water, the best way to keep your skin hydrated is to invest in great moisturizers and plant hydrosol sprays. Gemstone Organics has some of the best face creams around, I stumbled upon them through Holistic Habits and now I'm obsessed! These face creams are infused with real gemstones, which basically makes them amazing. They also have wonderful ingredients that hydrate and nourish the skin. I highly suggest Rose Quartz and Moonstone, they are my favorites. Hydrosol sprays are also a great way to refresh your skin and give it a little extra boost of moisture, try out Evan Healy for a great selection of "facial tonics". I love the blood orange, it smells like summer. Makeup- I am horrible about wearing makeup that is terrible for my skin. I don't like mineral makeup and I always feel naked without a little bit of coverage. I mostly stick to bb creams and that seems to keep my skin damage to a minimum. I also really like Nvey Eco's mattifying compact powder. It includes great ingredients like jojoba oil to hydrate the skin while not being heavy. I also swear by Rosebud Salve, liquid lipstick from Lush, and Benecos maximum volume mascara. I don't really have a huge routine when it comes to nail care. I take prenatal vitamins so that automatically does wonders for my nail growth. I keep my cuticles moisturized with argan or coconut oil, and I also really love Jason Natural nail saver. I am a big fan of Jason products in general, they are wonderful! I hope that this helps anyone with beauty questions and I hope that you try some or all of these great tips and products. I love all of the multi-use products so much because they are obvious money savers, giving you a little room in your budget to really indulge in specialty goodies! 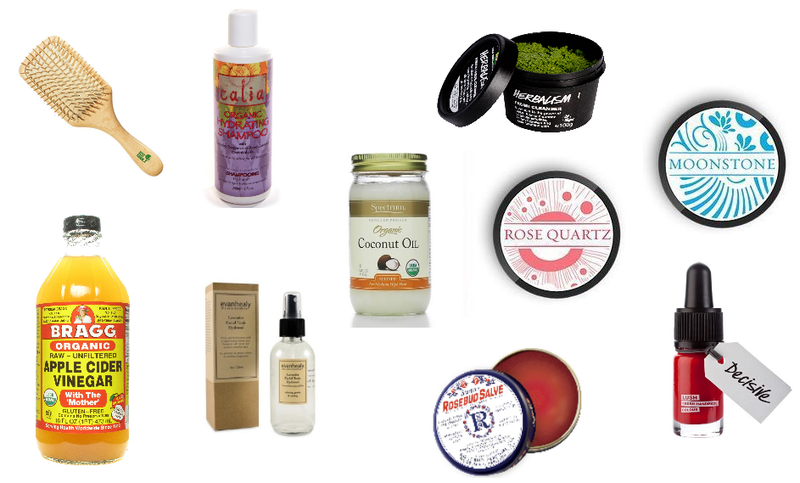 What are some of your favorite all natural beauty products?